Parents with kids of a certain age should be on alert. 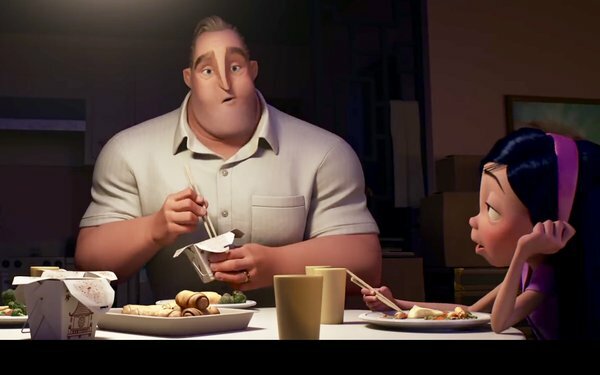 Just as the Marvel mania from the latest “Avenger: Infinity War” begins to cool down, the younger people in your house should be getting pretty excited about Disney-Pixar’s “Incredibles 2” premiere on June 15. It’s not like highly promoted films don’t fail, but for sure, this one won’t go unnoticed. Disney has hooked up 14 promotional deals with a constellation of brands, ranging, literally, from A to Z — ADT to Zillow. In between those two brands, add in, alphabetically, Alaska Airlines, American Egg Board, Best Western, Bounty, Chrysler, Clorox, Coppertone, Frigo’s Cheese Heads, Horizon Organic, Juicy Juice, Kleenex, McDonald’s and SleepNumber. In addition, Disney Learning has partnered with Lerner Publishing Group to pair educational material with Disney and Pixar characters and brands. One that is specifically targeted to “Incredibles 2” will be released the same day the movie opens. The sequel to 2004’s original “Incredibles” takes up where that one left off, as Mrs. Parr (voiced by Holly Hunter), also known as superhero Elastigirl, has to confront the evil Underminer (John Ratzenberger). Dad (Craig T. Nelson), also known as Mr. Incredible, stays home taking care of the kids, Violet, Dash and Jack-Jack (who, in turns out, has superhero super powers, too). They end up fighting a new villain, Screenslaver, helped by their ally, Frozone (Samuel L. Jackson). Lylle Breier, senior vice president, global marketing partnerships for the Walt Disney Studios, saluted the “14 great brands for this incredible campaign that will reach families nationwide,” according to a non-affiliated Disney fan site, Laughingplace.com. The Egg Board’s “The Incredible Egg” is creating customized recipes reflecting the personalities of each member of the Parr family that will show up on its Website and on social media. Kleenex will offer special boxes that contains an “Incredibles” mask built into the packaging. Chrysler will produce three new commercials pairing the Parr family with the Pacifica family van. Coppertone will put the “Incredibles” kids’ images on its kid-oriented sunscreen products, and offer a way for kids to win free tickets through Fandango. Frigo’s Cheese Heads will create point of sale tie-ins to the film. Juicy Juice will market an on-pack takeover, and other promotions. That was to start today. And Zillow will feature the Parr family home, just like any other home on the site. Fans can explore it inside and out, and get more specific information on the home. There will even be a video walkthrough of the Parr home on Zillow’s Facebook page.